If you’re curious about buying something of mine, just drop me a line in the comments below, or email me at ewanmcclure@yahoo.com and I’ll give you a link to a folder of available work. (There’s too much to post here.) As a special reward I’ll remove this laughable bit of Photoshop which was a shameful waste of four and a half minutes. This entry was posted in Uncategorized and tagged Ewan McClure paintings for sale. Bookmark the permalink. Hello Ewan – so delighted to hear you are in the competition final. All of us at the D&G Fine Arts send best wishes and our hopes for your continued success ie we’re expecting you to win. hello Ewan ,we think your work is so interestesting having seen you on the tv .We don’t know who won yet but think you should! I presume the self portrait shown on the program Is not for sale? we thought it was fab. it reminded us very much of the now dead cornwall? artist Robert mankeowitch. (something like that!!) anyway,keep up the good work. regards, Ken and lynne bundy. I recently watched you in Portrait Artist of the Year here on Australian TV & fell in love with your work. Would love to look at what you are selling & possibly have one of your pieces proudly displayed in my Aussie home. 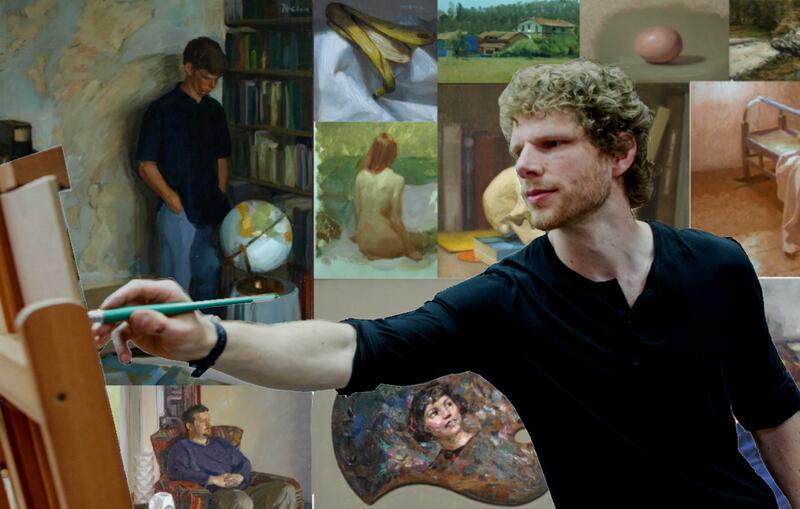 I watched you in Portrait Artist of the Year 2013 repeat shown on Sky Arts. I don’t know how I missed the programme last year. Your paintings are amazing – I think you should have won! I hope to be able to afford a piece of your art one day. Thank you for all the useful art lessons on your website. You are an incredible artist and inspiration. I live in New Zealand but come to the UK every 2 years. Having Aberdeen ancestry (Glenbervie Douglases, Stonehaven), I am interested in Scottish artists. Could I get a portrait done by you?